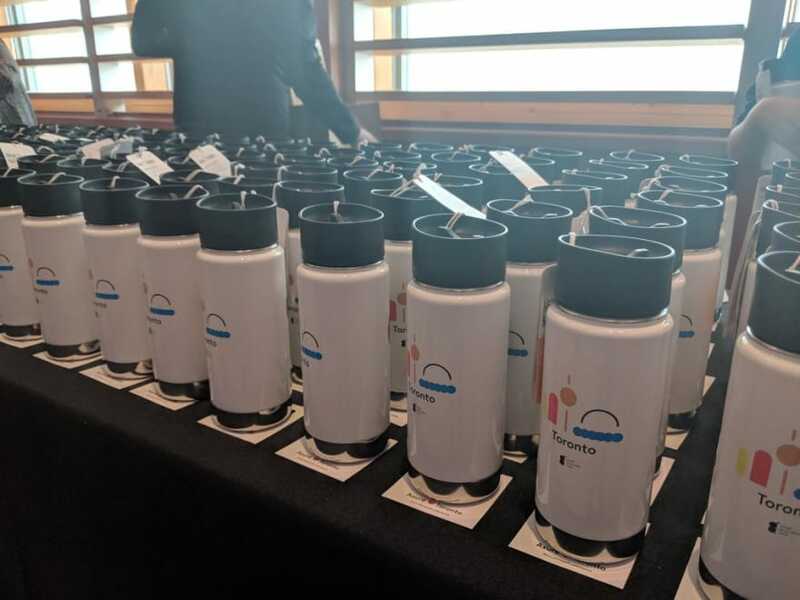 Personally, I liked the waterbottles given to us during the Azure Tour. Unique to each city, actually useful and of quality and the branding is tiny on it so it doesn't look like "Conference swag" but more like "Awesome swag". OMG!! Look at this awesome swag for the Toronto #AzureTour! It's awesome!! !